Our online learning team launch the online course “Scientific expeditions“, on expedition planning. EDGE Fellow Emmanuel Amoah records the first ever West African slender-snouted crocodile nest in Ghana. Reflecting on 10 years of EDGE, we held a scientific workshop to ensure our EDGE prioritisation methodology is based on cutting-edge science. Our online learning team launch the online course “Ocean optimism” on marine conservation. EDGE celebrates its 10th anniversary since it was first launched in 2007. The First EDGE Expedition to Cuba! The 2017 Erasmus Darwin Barlow EDGE expedition took place in the EDGE hotspot of Cuba. Our online learning team launch the online course “Worth more alive” on the illegal wildlife trade. Our EDGE Fellow Diorene won the Disney Conservation Hero Award for her work to protect the pygmy sloth. Our online learning team launch the online course “Species and spaces” on conservation prioritisation. The 2015 cohort of EDGE Fellows attended a two week Conservation Leadership training course at ZSL, on scaling up their projects post-Fellowship. New fellows joined the EDGE team in the Philippines for a month-long training course on the skills needed to undertake their projects. Our online learning team launch the online course “Take action” on getting involved in conservation. Our online learning team launch “Conservation innovation“, on technological problem-solving. Our online learning team launch “People and conservation“, highlighting why conservation is about people and wildlife. The 2014 cohort of EDGE Fellows attended a two week Conservation Leadership training course at ZSL, on scaling up their projects post-Fellowship. EDGE Fellow Diana Renaud as part of the EDGE Seychelles project helped establish legislation to protect Sheath-tailed bats and their roosts. Our EDGE Fellow Mea finds this elusive frog, which has not been seen in the past 8 years. New fellows joined the EDGE team in Costa Rica for a month-long training course on the skills needed to undertake their projects. EDGE Fellow Diorene Cabellos obtained the first official record and photographs of a pygmy three-toed sloth in forest habitats. 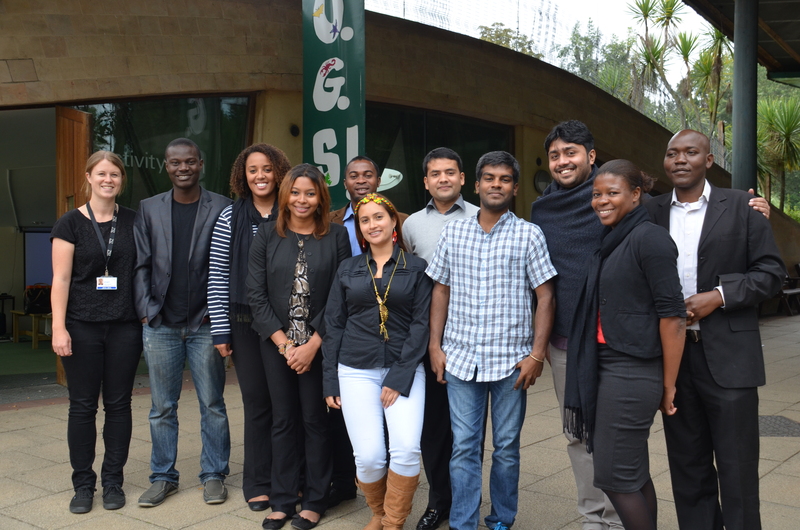 The 2013 cohort of EDGE Fellows attended a two week Conservation Leadership training course at ZSL, on scaling up their projects post-Fellowship.